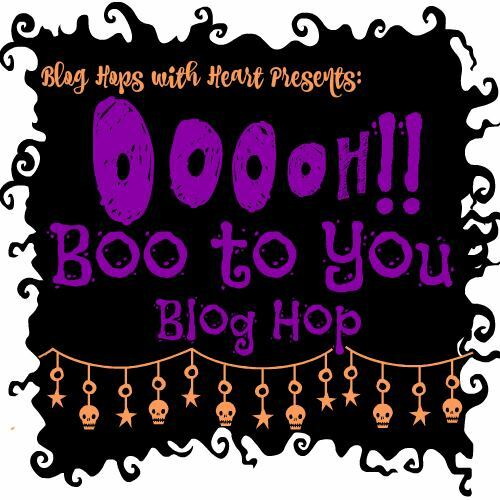 Welcome to the Halloween Blog Hop from Blog Hops with Heart! You might be arriving here from STEPHANIE'S BLOG. You'll find a list of all the participating artists at the bottom of this post. Let's Hop! For today's hop I'm using the new Cats and Bats Workshops Your Way kit. I love that these affordably priced kits include everything you need to make three double page layouts. I find it hard to just follow the directions for the kits though, as I like more stuff on my pages. I'm a lumpy-bumpy kinda embellishment crafter! Luckily there's plenty of stuff in the kit to satisfy even me! This is the first of the three pages in the kit. I did not change any of the cutting in the guides, but I did add some of the items that weren't used in the original instructions which you can view here. I also flipped some of the papers (LOVE that double sided print business), and changed the photo layout a bit to accommodate my bigger photo choices. I added more to the title area of the kit instructions. 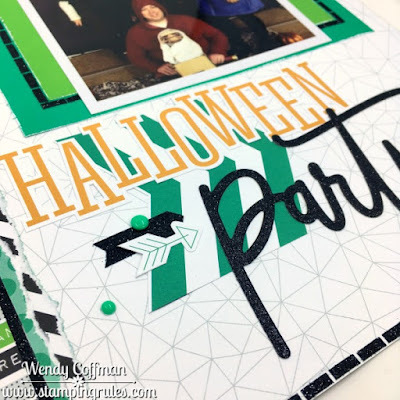 I used one of the printed 3x4 cards included in the packet, which was a chevron print, to create the oversized teal arrow element. 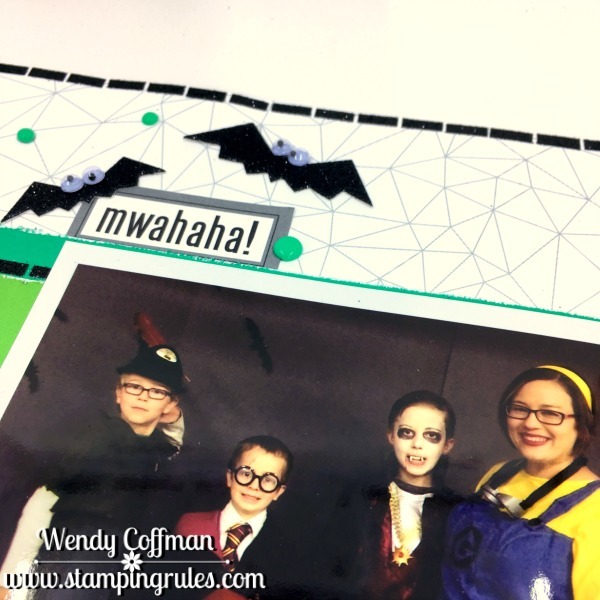 I stole the Halloween title stickers from another page (because I usually only need one or two Halloween pages each year, not three, so I used the last one for something special). In the bottom corner of this page you can kind of see some of the paper tearing elements I added, as well as seriously upping the amount of shimmer trim on this layout. I did a shimmer trim "stitch" all around the layout as well. I just trimmed 1/8" strips from my shimmer trim and lined them up! I might have wondered if it would have been quicker to actually stitch the page at one point, but I love the chunky stitch effect. I also added some googly eyes to the black glitter chipboard bats. They are so sparkly and a really nice weight, too. 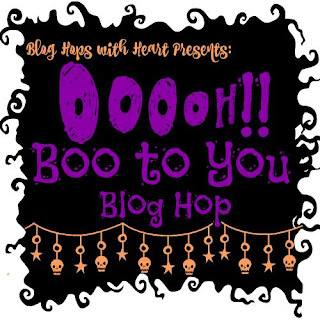 Next up on the hop is AMIE'S BLOG. Happy Halloween hopping! Love how you really made this kit your own. Your choice of patterns and embellishment placement is perfect! 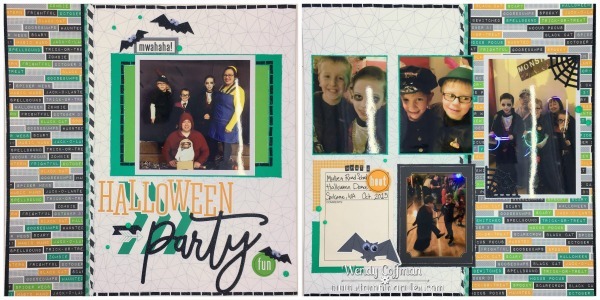 A perfect idea different from the cliché attires associated with Halloween, now you can play around with cards making knits and trims completely awesome evens kids can play around with it.